NACDS senior VP Jim Whitman was honored on stage during the Total Store Expo’s Business Program. 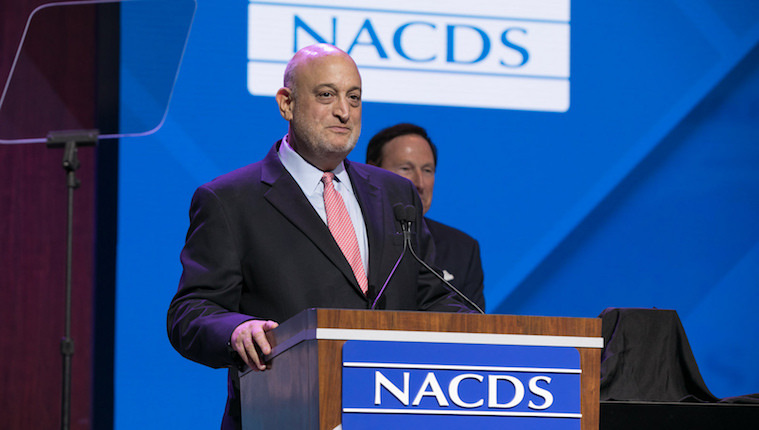 “Next year, NACDS will celebrate 85 years of service and leadership. And we have a member of the NACDS staff team who has contributed mightily to the organization’s success for nearly half that time. Jim, you always put our members first in your mind and your actions, and really first in your heart,” Anderson remarked. Under Whitman’s guidance, NACDS has earned a reputation for putting on the finest events in the retail business. In addition to TSE, the association’s annual meeting, regional chain conference and RxImpact Day have become industry staples.